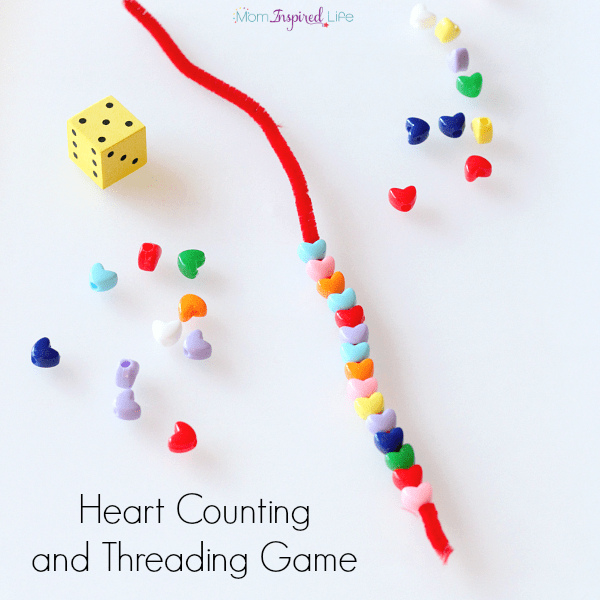 This heart counting game and lacing activity is a fun way to practice counting while developing fine motor skills this Valentine’s Day. 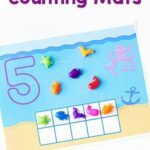 This fine motor activity was perfect for my son because it was part of a racing game. All I had to do was tell him it was a racing game and he was totally into it. 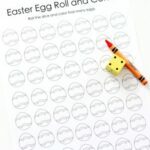 So if that kind of thing appeals to your kids, they will like this one! 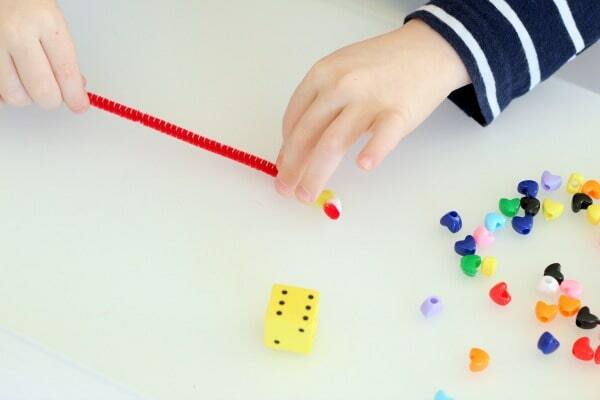 Put a pile of beads on the table and place the dice next to it. 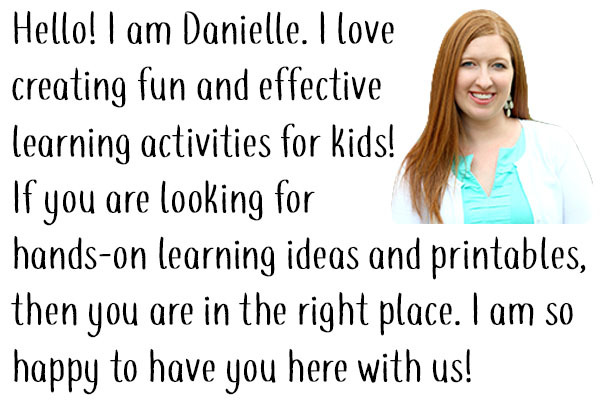 Give each child a pipe cleaner. 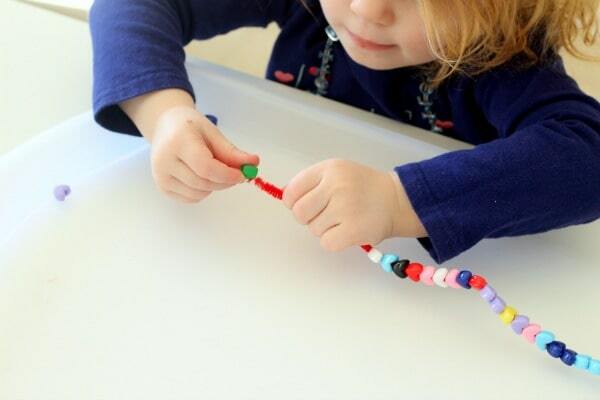 While threading the beads onto the pipe cleaner children will exercise their small hand muscles and develop fine motor skills that will help them to write and do other life skills. 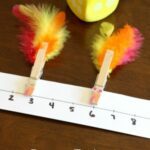 Each player will take turns rolling the dice and adding that many beads to the pipe cleaner. 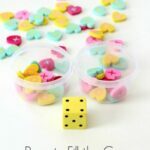 You can use two dice and add the numbers together or you can use one die only. 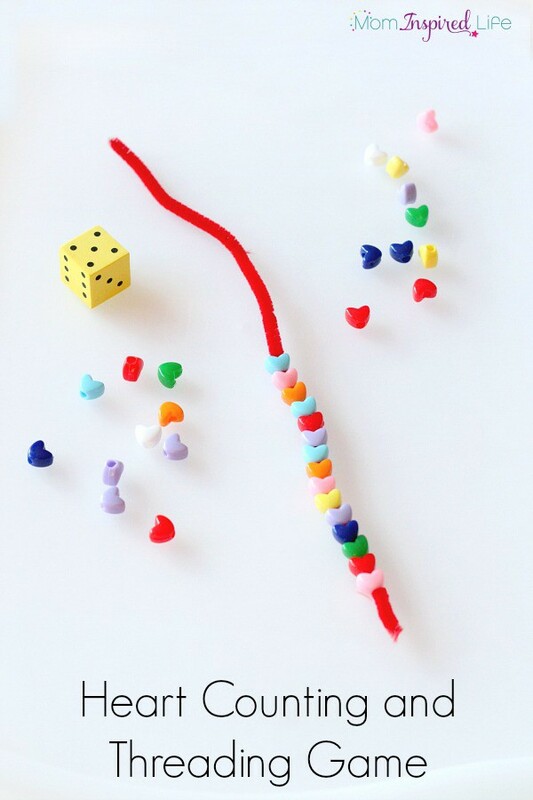 The game continues until one player fills their entire pipe cleaner with beads. My son really enjoyed the fact that this was a race! He REALLY wanted to beat me. Haha. He was so into it that he didn’t even realize the learning that was taking place. It’s also a great way to practice turn taking and being nice whether you win or lose. He won, by the way! 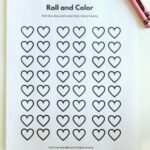 I am sure we will play this a few more times leading up to Valentine’s Day! 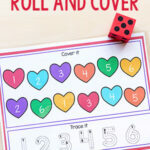 Here are some more Valentine’s Day learning activities that I think you will enjoy!